We are pleased to announce attorney Rachael Greene has joined St. Johns Law Group. Rachael will be leading our Family Law practice. She has 17 years of experience, in the areas of family law, probate, estate planning, bankruptcy, personal injury, and criminal law. 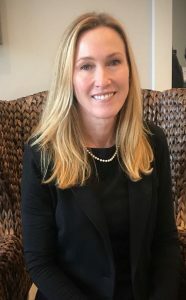 For the past decade she has focused on family law, including litigating dissolution of marriage, child custody, modification of alimony, modification of time sharing, paternity, domestic violence injunctions, guardianship, property division, dependency, and probate disputes as well as estate planning, prenuptial and post nuptial agreements. Florida Bar’s Recognition and continued Certification of James G. Whitehouse, Esq. Construction Attorney Shaun Saliba working hard for one of St. Johns Law Group’s contractor clients.